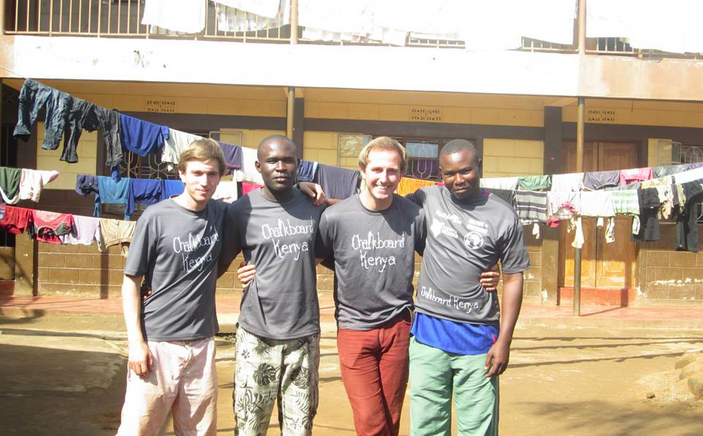 It has now been a whole year since my time developing business solutions with youth groups in Nakuru, Kenya. I particularly remember working on alternatives to local problems with Songa Mbele, a group of Pikipiki (motorbike) and Bodaboda (bicycle) taxi drivers. Translated from the Swahili ‘Songa Mbele’ means ‘Going to the front’. Songa Mbele really are leading from the front with their ambition and drive to gain a more sustainable future for both their family and their community. Songa Mbele were funded to develop a courier service, using their existing skills and resources (motorbike and bicycle), but for another use. Something that in Nakuru was only happening through international firms such as UPS and DHL. I feel proud to have helped make this happen. Whilst traveling with Balloon Kenya I came across a School and Orphanage in Busia, Western Kenya. The school was teaching 90 children with 3 teachers across 7 year groups. I saw this as both a problem and an opportunity to change things for the better. Once at home I teamed up with an exceptional individual, Alec Creed. This was when Chalkboard Kenya was born. Chalkboard Kenya promotes educational equality and opportunity for disadvantaged children in Kenya. We are a unique teaching experience aimed at developing the skills of young aspiring teachers through educating the Kenyan youth. Our programme uses innovative teaching techniques to guide our teachers through teaching some of the most inspirational children in the world. Today we are nearing the end of our second project. With ten successful student teachers having been through our programme already. It has been a real learning experience for the both of us and we feel like more rounded individuals for it. We have had a great response from universities and schools and have just received a massive donation of school uniform from The Dragon School Oxford. Alec’s old school. The orphanage is doing a fantastic job of keeping the children off the streets. We want to make sure that when they become adults they stay off the streets, can get a real job and have life aspirations and goals. Everyday we feel like we are making a difference.